There is more information below and on the reviewer forms. High quality international Journals such as JDR rely on time commitment from ​experts like yourself to ensure prompt Peer Review. To assist us on a regular basis, please join our Community Peer Review Pool. Thank you! We aim to have a First Decision regarding the likely suitability of your paper within 14 days, and currently we have an average of less than this: 12 days. Final acceptance is always subject to Peer Review which does take longer, but the process is designed to complete within 10 weeks. Submitted manuscripts are first validated by the Editorial Office, which checks for technical and basic scientific compliance with JDR's requirements. The Editor may choose to reject manuscripts that do not fit within the scope of the Journal, or are clearly lacking in scientific quality. Validated manuscripts are assigned to an Editorial Board Member on the basis of the profile submitted with the manuscript. The EBM then performs a Progression Assessment using an online form. Manuscripts selected for Progression are assigned by the EBM to Referees for Commissioned Peer Review. Referees may be chosen from the JDR Peer Review Pool or recruited externally. Authors also have the option of proposing suitable referees. The Referees reports are received by the EBM. Once at least two Reports are received, the EBM makes a recommendation to the Editor. This may involve one or more rounds of revision by the authors. The Final Decision to publish or reject is made by the Editor or a member of the Executive Editorial Team on his behalf. If the Commissioned Review does not conclude by around 6 weeks (this is a target, not an absolute deadline!) the manuscript may, with the agreement of the authors, be opened to Community Peer Review. The EBM retains responsibility for the manuscript, and will receive the reports and make the Recommendation as above. The manuscript's title is placed online, open access. Members of the Peer Review Pool can access the Abstract and, if appropriate, offer to Peer Review. Only if the offer is accepted will the member be able to access the full manuscript. The Process operates entirely online. The Editorial Office is responsible for administering the Process, and all communication between Authors, EBM and Referees is via the Office. EBM may choose to remain anonymous, and Peer Reviewers are always anonymous. ​Our objective is to help authors obtain rapid publication of high quality science. The Peer Review time targets shown here are "best case" scenario assuming minimal revision. 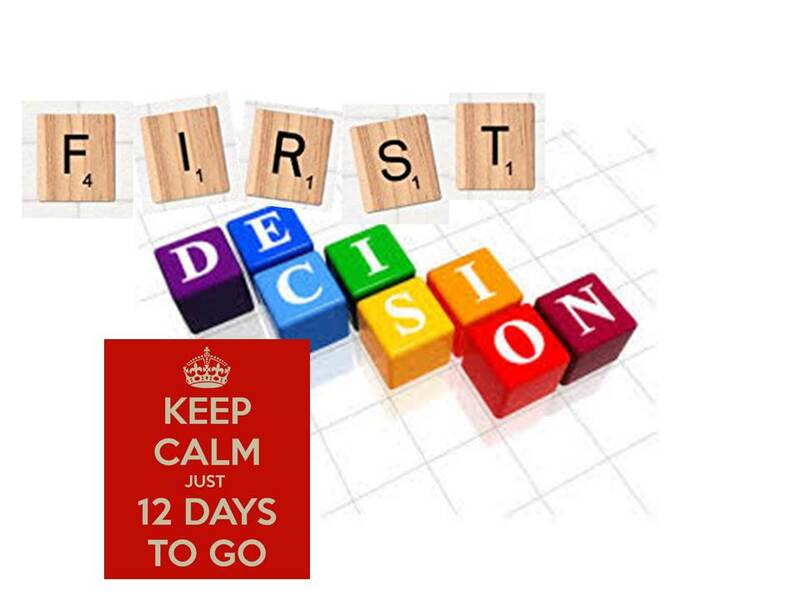 We aim to provide a First Decision (end of Progression stage) within 14 days. A well prepared manuscript of high scientific quality should progress to Peer Review within two weeks and we ask Referees for a two week response. If no revisions are needed, the manuscript could be accepted within 6 weeks. Most manuscripts require more time for Peer Review. Sometimes this is because reviewers are busy and cannot respond quickly, but often it is the quality of the manuscript that slows the process. Many manuscripts spend far more time with the author under revision than with us. What happens to accepted manuscripts?